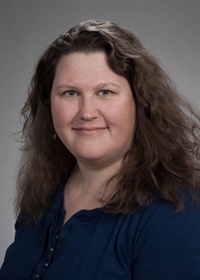 Kate Comtois, PhD, MPH is Professor in the Department of Psychiatry and Behavioral Sciences and Adjunct Professor in the Department of Psychology at the University of Washington. She received her Ph.D. in clinical/community psychology from the University of Maryland in 1992. She received her MPH in Health Services at the University of Washington in 2009. Dr. Comtois’ research goal is to give suicidal clients and their clinicians their best chance to succeed at treatment and life. She has been working in the area of health services, treatment development, and clinical trials research to prevent suicide for over 25 years. She is director of the Psychotherapy Clinic and DBT program at Harborview Mental Health Services. Dr. Comtois has developed and adapted interventions to improve care and clinician willingness to work with suicidal patients including DBT, Collaborative Assessment and Management of Suicidality (CAMS), caring contacts via text message, and Preventing Addiction Related Suicide (PARS). She has developed DBT-ACES, a program to assist psychiatrically disabled individuals with BPD find and maintain living wage employment and self-sufficiency. The National Institute of Mental Health, National Institute of Drug Abuse, American Foundation for Suicide Prevention, and the Department of Defense have funded Dr. Comtois to evaluate these interventions in rigorous clinical trials. In addition to clinical research, Dr. Comtois founded the Society for Implementation Science Collaboration (SIRC) and is now the Director of a the Dissemination and Implementation Core within the Military Suicide Research Consortium (MSRC) focusing on the dissemination of innovative, evidence-based suicide prevention interventions in military settings. Dr. Comtois provides training in health services for suicide prevention. She has developed and maintained a clinical training program for psychiatry residents and fellows in Dialectical Behavior Therapy (DBT) for 19 years and in CAMS for 4 years. She also trains DBT for public and private systems across the US, Canada, Australia, and the UK with a recent focus on American Indian and Alaska Native communities. Financial: Dr. Kate Comtois receives a consulting and speaking honorarium from Treatment Implementation Collaborative. Non-financial: Dr. Kate Comtois has no relevant non-financial relationship to disclose.